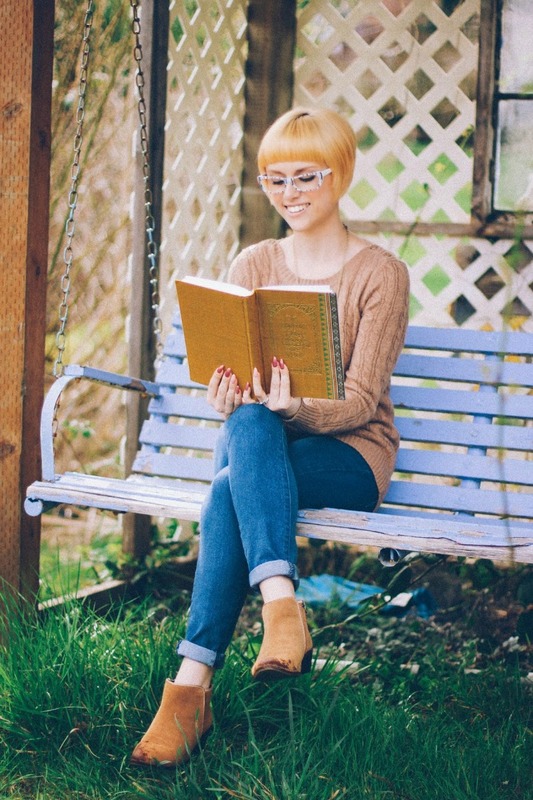 I love that I was able to find so many photos of such gorgeous and stylish readers to share in this latest "Reading in Style" installment. I am always on the hunt for kindred spirits who love curling up with a book! A Reading in Style regular, Cee of Coco and Vera is juxtaposing her Parisian je-ne-sais-quoi with the rustic Canadiana of her Vancouver home. 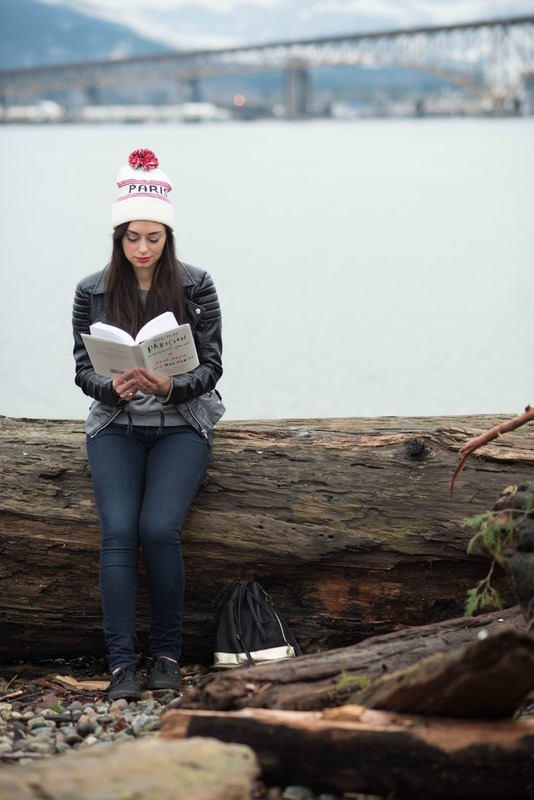 I also love that Paris and Canada join together in that fantastic toque! Coline of Et Pourquoi Pas Coline is hands down one of my favourite youtubers (who has helped keep my French skills up to snuff!) and a seriously chic style blogger into the mix. If you speak French and love a great beauty video? You should absolutely check out her channel - you won't be disappointed. Meagan of Living Boldly is a relatively new discovery for me. I loved this cozy at-home look, curled up in flannel and warm socks with a good book. Basically my ideal weekend ensemble / activity. If you're looking for major style / lifestyle inspiration, you should be following Kayla's blog, Not Your Standard and her fantastic instagram. 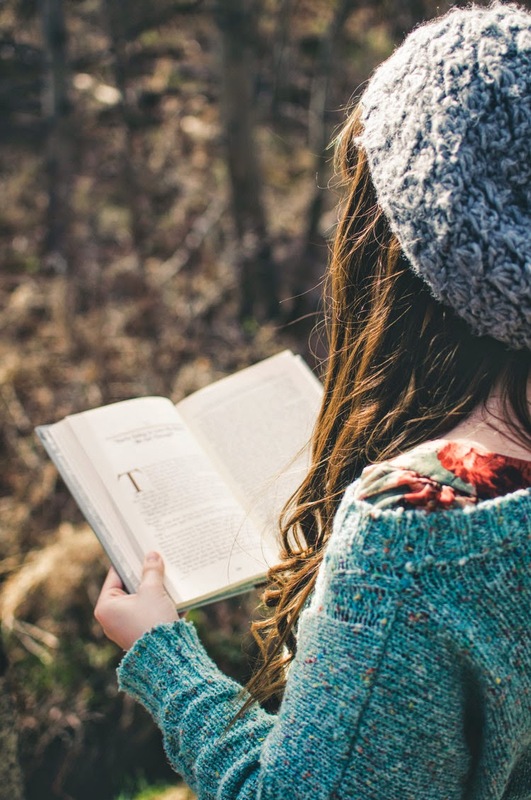 I am always interested in hearing about what other people are reading, and so of course I was a fan of her post on three current bookish favourites. Bespectacled and bookish = win-win. This post from Mariah of Rya Pie was so adorable, I had to share it. I especially loved her über-colourful glasses. So fun! Vanessa / Nessy of MessyNessyChic has such interesting posts on travel, adventure and more. 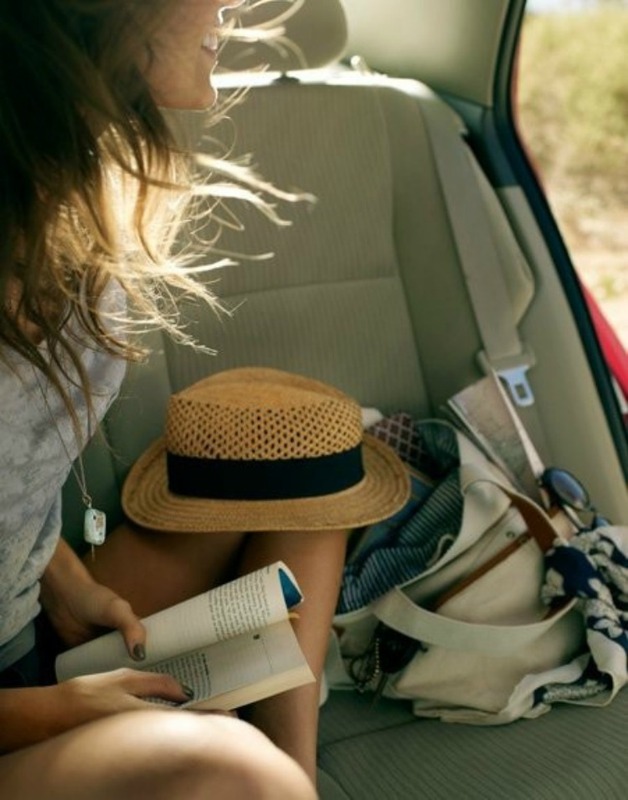 I absolutely loved the carefree, joyful feeling in this photograph from her post about a roadtrip through the French countryside. Last but absolutely not least, one of my favourite Canadian bloggers, Amy, of Amy Flying a Kite. This post was an absolute winner for me, because in addition to her lovely and whimsical style, it also featured a pretty genius list of reasons to pick up a book and get reading (Yes!) - and reaffirmed my feeling that this talented lady might well be a kindred spirit. You're one of my favourite stylish fellow book-lovers Cee! I always love stopping by your blog! Hope you have a great day!